Arianespace launched India’s next generation high throughput communication satellite, GSAT-11, today from Kourou launch base, French Guiana. The satellite was carried on an Ariane 5 rocket, and this mission marks Arianespace’s 5th launch this year. The rocket also carried the KOMPSAT-2A satellite for the Korea Aerospace Research Institute (KARI). GSAT-11 was launched into a Geosynchronous Transfer Orbit. Subsequently, ISRO’s Master Control Facility at Hassan took over control of GSAT-11 to perform the initial orbit raising maneuvers, for placing it in circular Geostationary Orbit (GEO). Weighing about 5854 kilograms, GSAT-11 is the heaviest satellite built by Indian State Research Organization (ISRO). GSAT-11 is the forerunner in the series of advanced communication satellites with multi-spot beam antenna coverage over the Indian mainland and its islands. GSAT-11 aims to play a vital role in providing broadband services across the country. The launch was delayed earlier this year, due to GSAT-11 needing additional technical checks. 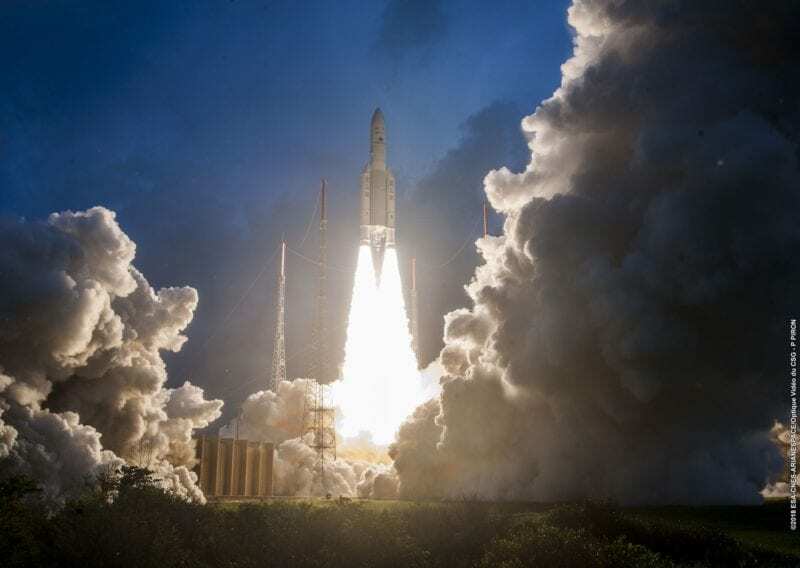 The post Arianespace Successfully Launches GSAT-11 for ISRO appeared first on Via Satellite.